MOSCOW, December 11 (Itar-Tass) - The employees of our state-run news agency, as of any other public organization, have not been smoking indoors for almost a month now. A special smoking area for heavy smokers has been arranged in the inner yard, and those who have been unable to quit the bad habit at once have to regularly venture outdoors into the autumn downpour or winter chill. Everybody, including bosses of different rank. Violation entails fines and loss of bonuses. Internal struggle is going on in each smoker’s soul several times a day between laziness and wish to take a drag on a cigarette. Colleagues say the latter triumphs more often than not. The result so far is employees are longer off the working place, as it takes time to put on outdoor clothing, take the elevator down, and then back. The sickness rate has gone up, as many do not bother to put on something warm even though the cold Russian winter has unmistakably set in. A strict law aimed to protect people’s health from tobacco smoke and the consequences of smoking that introduced a ban on smoking in all closed public areas in compliance with the WHO Framework Convention on Tobacco Control took effect on June 1, 2013. At first smoking ban abusers were not fined - the mechanism was still under consideration. The law prohibits smoking at schools and universities, cultural and sporting organizations, beaches, stadiums, on playgrounds and in hospitals, in sanatoriums and at health resorts, inside the offices of public organizations and at filling stations. Smoking is banned aboard aircraft, on the subway and all kinds of public transport. From November 15 on, smoking at working places, near and within the educational, cultural, sporting and healthcare organizations, in houses’ hallways, at railway stations and airports is to be punished with a fine from 500 to 1,500 roubles ($15 - 45.5). The management of organizations where the ban is violated will face tougher fines. From June 1, 2014 the list will be complemented with restaurants and bars, dormitories, hotels, long-haul trains, and the boarding platforms of suburban railway stations. Meanwhile, tobacco companies are now obliged to list all substances of the cigarettes. Spooky images depicting, among others, foot gangrene or lung cancer have already appeared on cigarette packs. Tobacco ads are banned in print media and on the Internet, while tobacco companies are now prohibited from sponsoring different events. 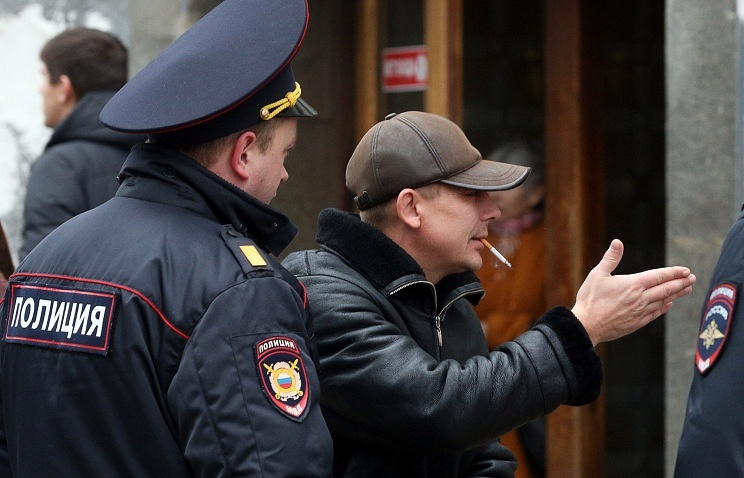 Fines for selling tobacco products to underage customers will be 3,000 to 5,000 roubles ($90 - 151) for individuals, from 30,000 to 50,000 roubles ($909-1,500) for officials, from 100,000 to 150,000 roubles ($3,000- 4,500) - for economic entities. The anti-smoking law has two main goals - to protect non-smokers from harmful smoke influence and encourage smokers to quit of their bad habit. Russia is one of the world leaders by the percentage of smokers with 43.9 million (about 40 percent). Experts estimate that from 330,000 to 550,000 Russians die every year from tobacco smoking-related diseases. Experts and the man in the street wonder whether anti-smoking law really works. And most answers are negative. The law has split the country in two. These two parts are about equal, as the smoking minority makes up 40 percent of the population. They agree smoking should be resisted, but in other ways. “The law is not working,” the executive director of All-Russia Movement for the Rights of Smokers, Andrey Loskutov, said firmly on the Ekho Moskvy radio station. “I do not enjoy saying this and I am not rubbing my hands in delight,” he said adding his movement “shared the state’s concern about the large number of smokers in Russia”. The movement for smokers’ rights is now gathering one million signatures under a petition urging to make amendments to the law they now find ineffective. One of the proposals is to reserve special smoking areas. Loskutov said the sign-up campaign was progressing well enough. Opinion polls conducted by the pro-government newspaper Rossiaskaya Gazeta in the social network Vkontakte have shown only six percent find the law effective, whereas the overwhelming majority (80 percent) is sure the anti-smoking law failed at the very start. Meanwhile, according to the summer polls by the Russia Public Opinion Studies Center (VTSIOM), 45 percent support the law, while 49 percent oppose and find it too tough; 76 percent approve of the ban on smoking in public places as a whole, while 79 percent support ban on any form of tobacco advertising and sponsorship by tobacco companies. The special committee of the Samara regional parliament has supported a proposal from two deputies to prohibit smoking for state and municipal officials when at work. If the council supports the initiative, the bill will be referred to the federal parliament. The authors believe officials smoking at work “undermine respect for authorities” and work less than non-smokers, as they spend time on cigarette breaks.